This black plastic mulch film is perfect to create a natural windbreak! 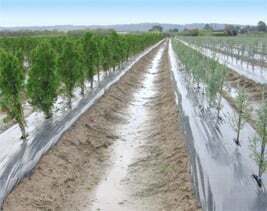 Black embossed plastic mulch film 2.3 mil made especially for trees with slow, medium, and fast growth (willow, poplar, cherry tree, etc. ), shrubs and vines.